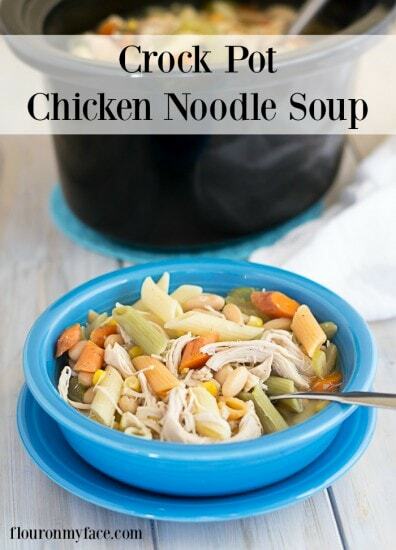 Crock Pot Chicken Noodle Soup is one of those versatile crock pot chicken recipes that you can make for very little money with most of the ingredients you already have in your pantry. Plus Crock Pot Chicken Noodle Soup is the best way to warm up on a cold winter evening. This crock pot chicken soup recipe starts with just 2 boneless chicken breast halves and basic soup stock ingredients like chicken broth, an onion, celery, carrots and bay leaves. All ingredients that you probably have on hand in your pantry. 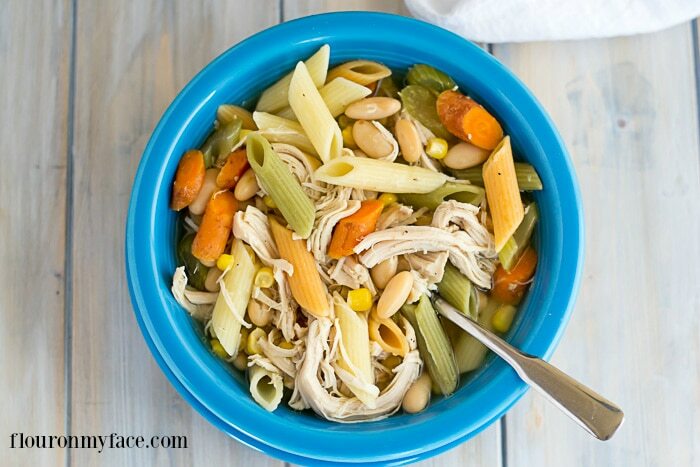 Once you have the basic chicken soup stock ingredients cooked you can use whatever combination of pasta, beans, and vegetables you have on hand. 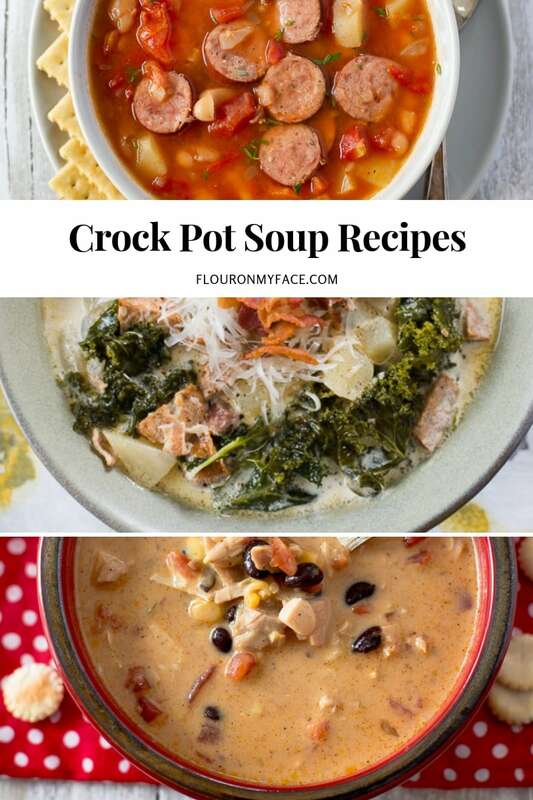 Love Crock Pot Soup recipes? 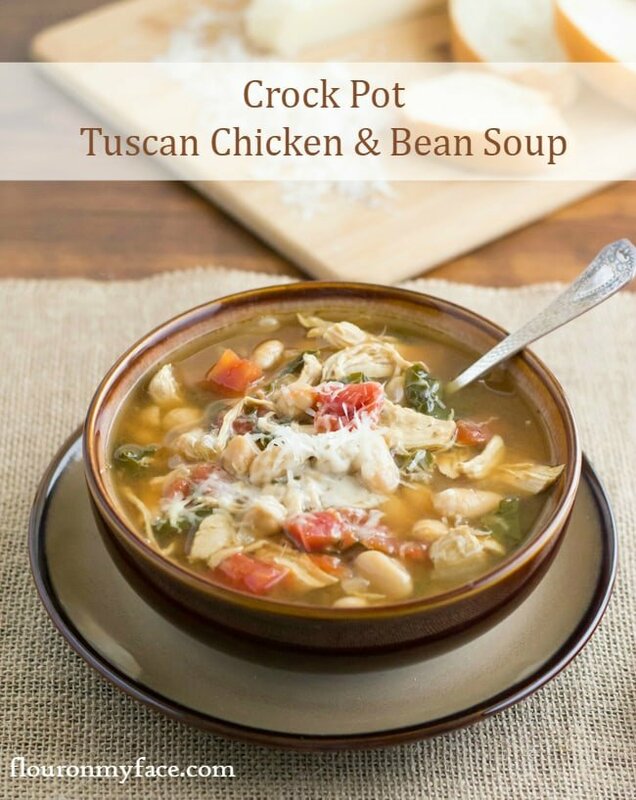 Check out some of my other Crock Pot Soup recipes that I have shared. 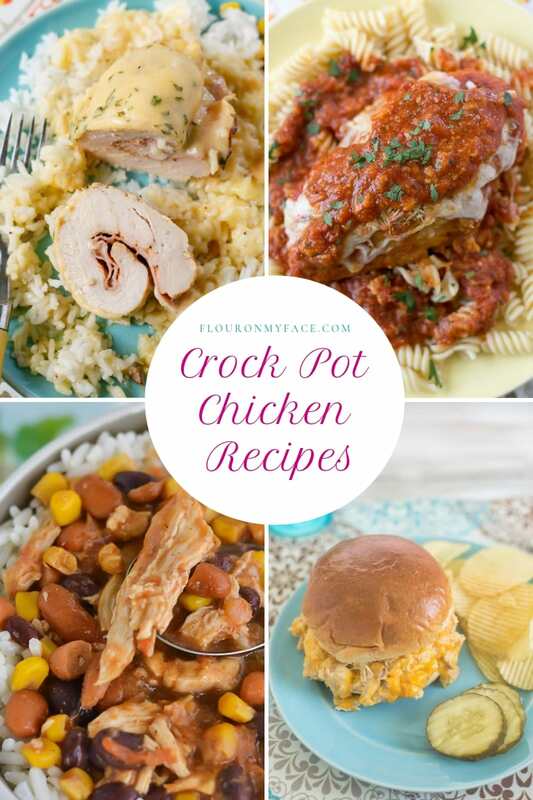 If you love crock pot chicken recipes you can find them on my Crock Pot Chicken recipes page. Place the first 8 ingredients into a 4-quart crock pot. Cook 3 hours on high or until the chicken is cooked through. Remove the chicken from the crock pot and pull apart. Remove the onion from the crock pot and discard. Add the beans, pasta, and corn to the crock pot. 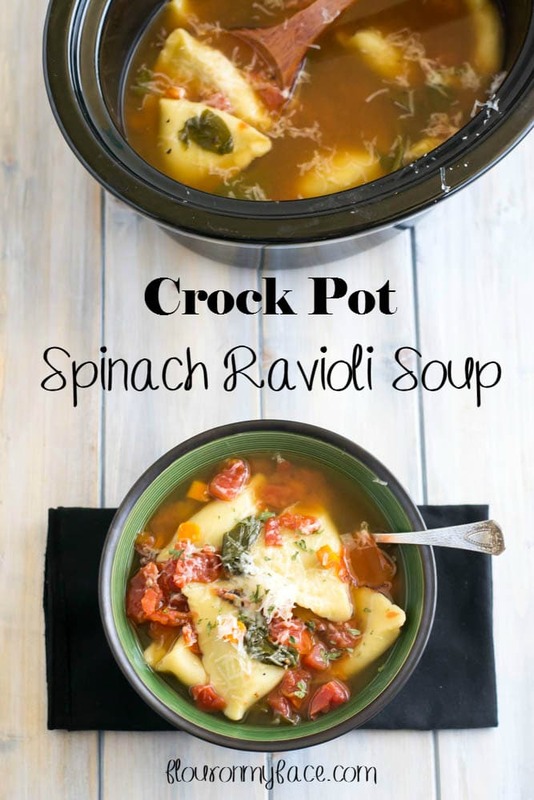 Cover the crock pot and cook for 1 hour or until the pasta is cooked. Crock Pot Chicken Noodle Soup will chase away the blues and fill those empty bellies. Add the beans, pasta and corn to the crock pot. 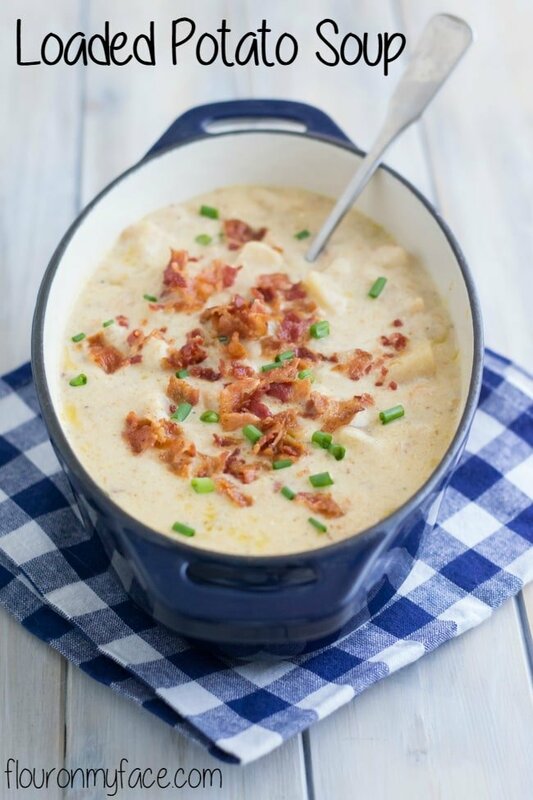 I love Crock-Pot soups — they’re perfect for this time of year, and this one sounds wonderful. Thanks for sharing! Thank you for sharing! Enjoy the recipe.